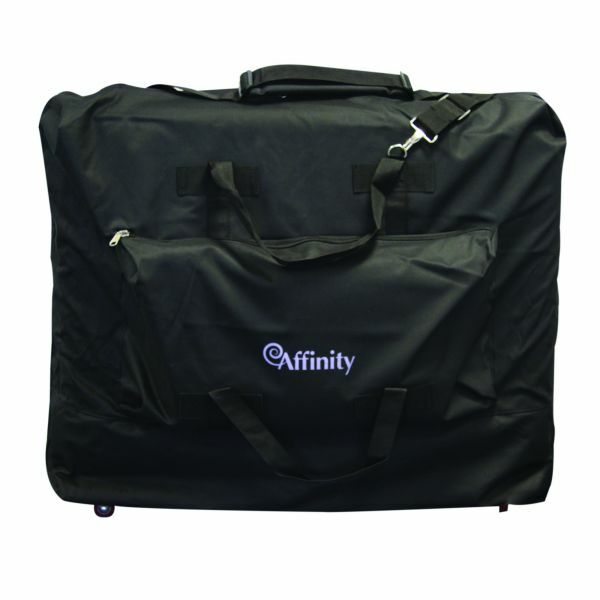 This wheeled bag will comfortably fit a couch up to 28″ wide. The Affinity Carry Case is the same bag without wheels. 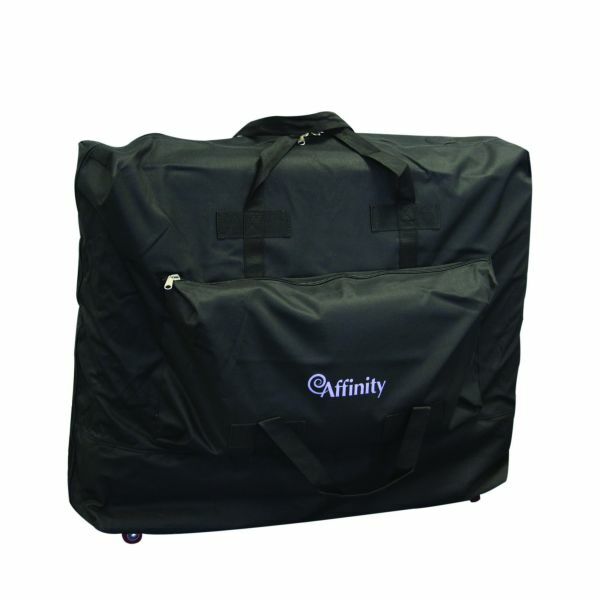 Four free-rolling castors to ensure smooth wheeling and a padded section in the bottom to protect your massage table. 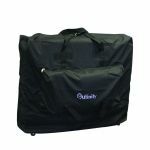 Looking for the same bag without wheels?